These handmade sugar hydrangea bunches are a perfect finishing touch to any celebration cake, or use bunches to create a stunning bouquet. 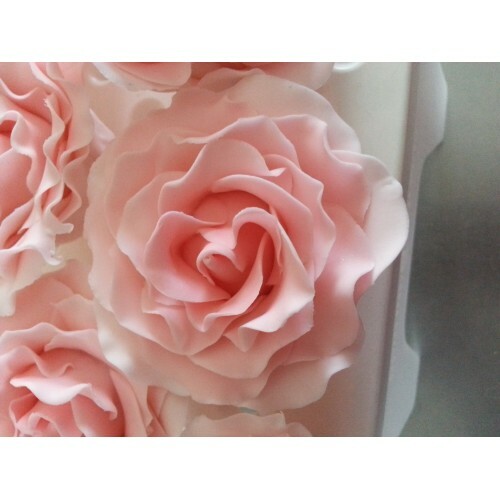 Add some of my sugar roses for a final finish. Each rose is approximately 3 inches diameter. €9.95 per flower. 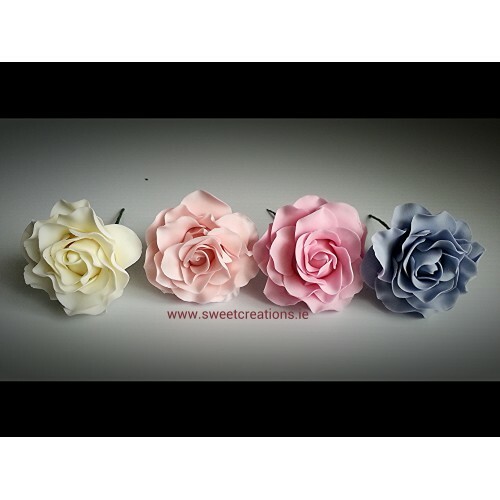 All colours available, just email miriam@sweetcreations.ie with your ideas. 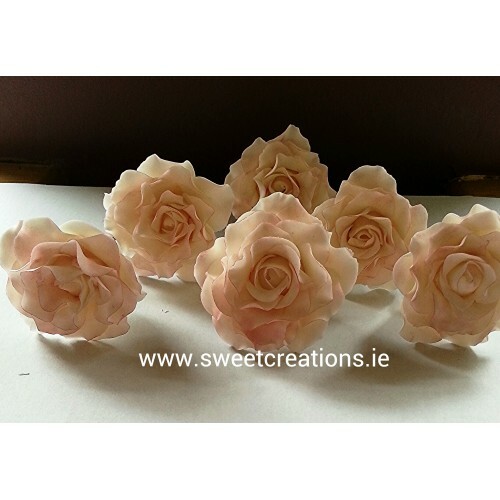 Please note it may take upto 7 days for delivery of my sugar flowers, due to the making and drying time for them. These are made of the finest florist past and contain wire and polystyrene ball, so are unsuitable to eat.